This commonly found ingredient can help stop bleeding. Find out what it is. You won't believe how fast it can stop bleeding and how easily you can find this ingredient! Read on to find out. As I mentioned in my previous two posts about nearly cutting my thumb off, the first thing I did was to put a lot of cayenne pepper directly into the cuts. In addition to the external application of cayenne I also mixed the powder with a glass of water and drank it internally. The bleeding slowed down dramatically within seconds and stopped completely within just a couple of minutes. So why does Cayenne work this way? It works because cayenne pepper reacts with the body to equalize blood pressure. The circulatory system is a closed pressurized system. 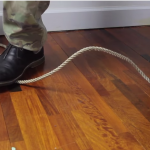 When a cut or laceration opens the system up the pressure balance is thrown off. Pressure tends to focus at the wound making it difficult to stop the bleeding. Taking cayenne pepper internally equalizes pressure through the system. 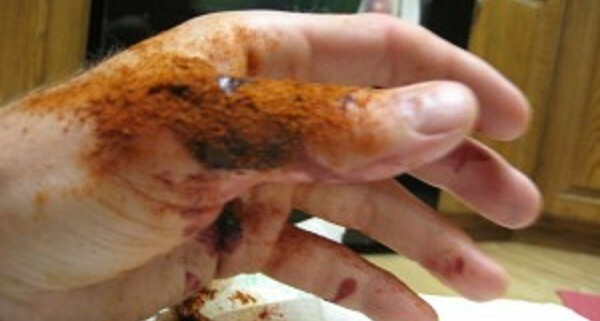 Just pour the cayenne pepper powder directly onto the cut or laceration. There is no modification whatsoever required. Be liberal with it. The cayenne can also be dissolved in a bit of water and used to saturate a piece of gauze that is placed over the wound area. Cayenne pepper can also be taken orally. Put a teaspoon of cayenne in one cup of water and drink it down. It is not necessary to wait for it to dissolve completely. Warm water works best, but cold water will work too. For those who don’t want their mouth on fire, dissolving a teaspoon of cayenne into the juice of half a lemon and a dash of maple syrup will take the edge off. WOW! Cayenne pepper has so many benefits. The fact that you can heal yourself from the inside and out with cayenne pepper is a real game changer. Next time you're bugging out and you get cut, keep some cayenne pepper near for fast healing! Of course, if there's any doubt or if the cut seems really deep, it's best to consult with a doctor, if available. For more on cayenne pepper, visit Herbal Learning. Cayenne pepper, I used to be a chef and this indeed does work on small cuts. I have been using this most of my life. I worked with chain saws for long time. My body has many scars. No soreness and no infection. Will stop infection too. Just soak in hot water. Easy and amazing. Flour.. had a knife go through my left hand . Flour stop it. I’m not in disagreement over its use but the go to, to eliminate the threat of staphylococcal infection, should always be oil of oregano. People are gonna look at that pic and not read the article and think, “Chili powder for the win!” At least I hope they do. And that someone nearby has a camera. Rub some dirt on it….and keep on. It is cayenne- UGH! Stop click baiting!